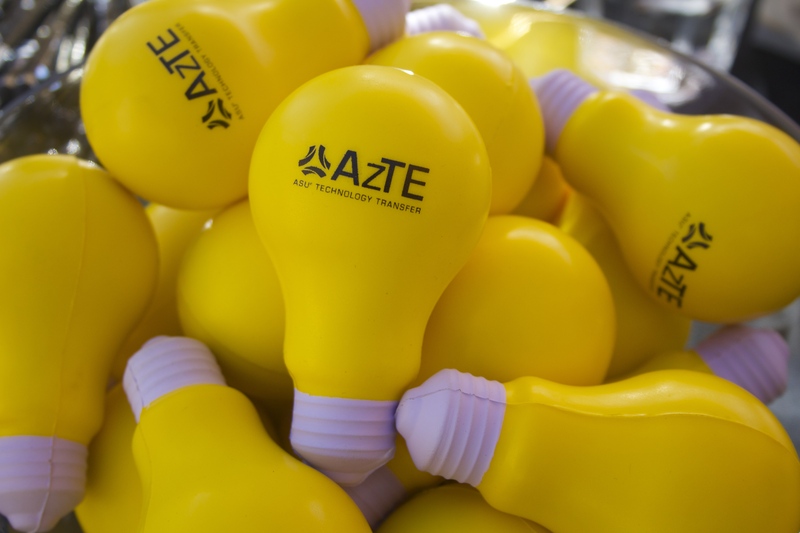 Arizona Technology Enterprises (AzTE) recently celebrated a record-breaking year for the number of inventions, patents and start-up companies that have come out of Arizona State University. Since its inception, AzTE has fostered the launch of more than 80 companies based on ASU innovations and attracted more than $500 million in external funding, including $40 million in fiscal year 2015 alone. Elizabeth “Betsy” Cantwell, vice president for research development of ASU’s Knowledge Enterprise Development (KED), noted how remarkable it was for the faculty being honored to take an idea and turn it into intellectual property. She addressed the challenges of the current innovation environment, where there is less money available for research and higher expectations for the rapid delivery of ideas to the commercial market. “In that environment each of you has taken an idea all the way from its beginnings to a useful endpoint,” she said. Michael Cleare, former executive director of the University of Pennsylvania’s Center for Technology and a member of AzTE’s board of directors since 2008, said the intellectual property output was indicative of ASU faculty’s ability to “punch above their weight” to routinely outperform research institutions with greater numbers of research faculty or expenditures. ASU recently topped the list of “most innovative schools” in the annual U.S. News & World Report college rankings for 2016. One faculty member who earned a patent in 2015, Ken Roland, was recognized for making a chicken vaccine to prevent necrotic enteritis — a bacterial infection that can wipe out up to half a flock. Vice president for research development of ASU’s Knowledge Enterprise Development, Elizabeth “Betsy” Cantwell, speaks about the remarkable achievement and dedication represented when faculty take an idea and turn it into intellectual property. In total, 75 ASU faculty were honored at the event with their choice of receiving framed certificates of their U.S. patents and/or licensed technologies to acknowledge their accomplishment. Ken Polasko, the executive director at AzTE, ASU’s exclusive intellectual property management and technology transfer organization, congratulates Ira A. Fulton Schools of Engineering professor Terry Alford on his patent for developing novel flexible display technology. Roland, an associate research professor at the Biodesign Institute is involved in a start-up called AniVax Inc., along with Wei Kong, a research associate professor at the Biodesign Institute. To build on future success, AzTE has made a one-stop shop for intellectual property development available. In 2015, AzTE and KED initiated the Startup Mill, an entrepreneurial support program that provides start-ups with mentors, resources and training, and is available for use by internal and external start-ups. Cronkite Innovation Chief Eric Newton is receiving one of the nation’s highest press-freedom honors for his work at the John S. and James L. Knight Foundation. Ibargüen and Newton are receiving the honor for their efforts at Knight Foundation to address the evolving needs of a changing media landscape, while maintaining a commitment to the preservation and protection of First Amendment freedoms. 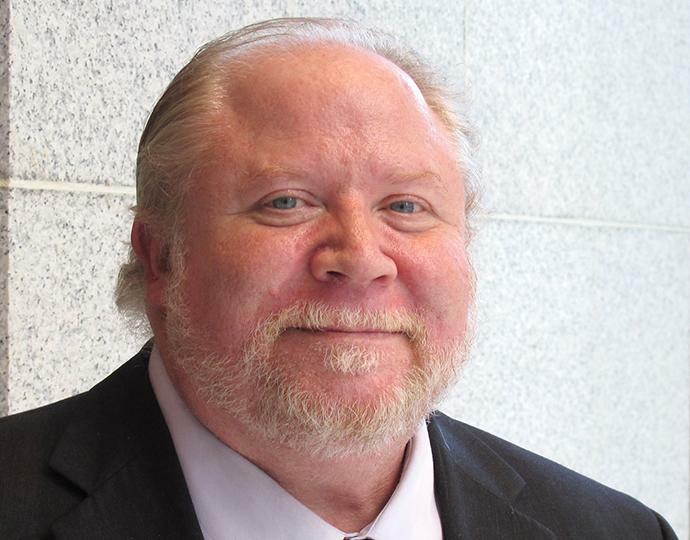 In addition to his role at Cronkite, Newton serves as a Knight Foundation consultant. He previously worked as a top executive at the foundation, overseeing the development of more than $300 million in grants, $160 million of which went to universities for pioneering projects in journalism education. At the Cronkite School, Newton works closely with the school’s leadership to drive new, cutting-edge ideas and initiatives at Cronkite News, the school’s multiplatform daily news operation. Ibargüen also has played a significant role in driving innovation at the Cronkite School through the Knight Foundation’s tremendous support of the school. Most recently, during his keynote convocation speech to graduating Cronkite students in May 2014, Ibargüen announced a special $250,000 grant for ASU journalism graduates to accelerate innovation in newsrooms across the country. Also at the awards dinner, NBC News special correspondent Tom Brokaw will receive the Fred Graham Distinguished Service Award in recognition of his two decades on the Reporters Committee board and his dedication championing press freedoms. Brokaw, the 2006 recipient of the Cronkite Award for Excellence in Journalism, also was a driving force in the recent establishment of the Public Service Academy at ASU, the first undergraduate program in the nation to integrate cross-sector and civilian-military experiences to develop collaborative leaders of character. The Reporters Committee for Freedom of the Press was founded by leading journalists and media lawyers in 1970 when the nation’s news media faced a wave of government subpoenas asking reporters to name confidential sources. Today, it provides legal resources and support to protect First Amendment freedoms and the newsgathering rights of journalists. Funded by corporate, foundation and individual contributions, the Reporters Committee serves the nation’s leading news organizations and thousands of reporters, editors and media lawyers.